We are a retail company fighting to keep the worlds biggest creatures safe from the worlds biggest bullies (poachers). With every purchase of a Cape we donate 10% towards helping endangered elephants and rhinos. We are creating super heroes one cape at a time. Satao was one of Kenya's largest elephants. He was known as a tusker, due to his large tusks that almost touched the ground. Sadly, Satao was poached for his ivory in May 2014. Satao, protected his heard until the day his life was taken. Even though he is gone, we are here to carry on and protect his legacy. "Keeper" is the name given to the care givers that take care of and give so much love to orphaned elephants and rhinos. 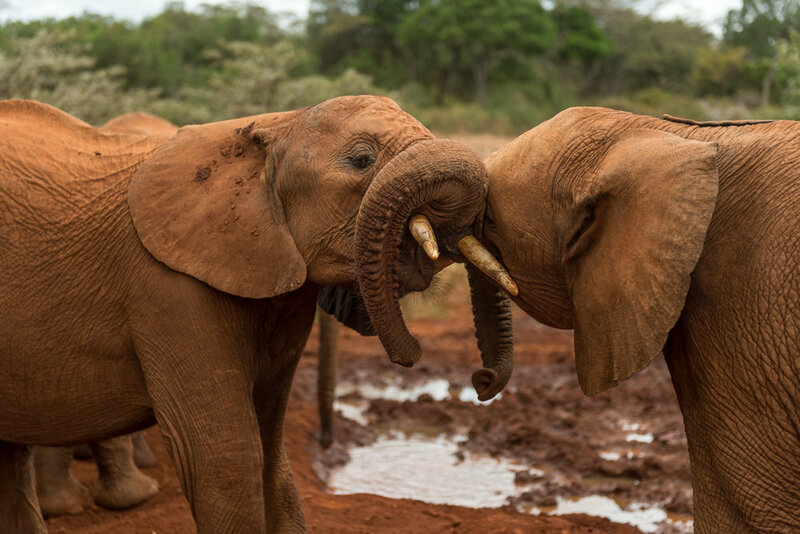 Orphaned elephants are very vulnerable to becoming sad, depressed and/or anxious when brought into the orphanage because of the detachment from their mother and family. In order to keep these babies from having social and emotional disorders, their keepers are with them 24/7, sleeping beside them, and feeding them every 3 hours; they act as the Mother figure to orphaned elephants and rhinos. "The greatness of a nation and its moral progress can be judged by the ways its animals are treated"